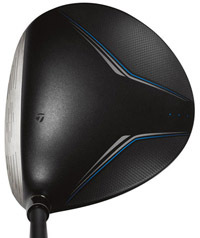 TaylorMade Golf sells the largest number of drivers for several reasons. 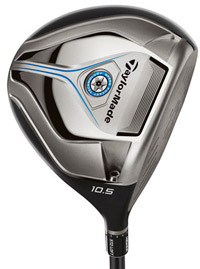 Sure they look nice and have features TaylorMade pioneered such as user-adjustability but the bottom line is simple. 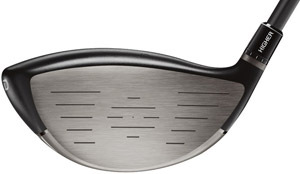 Players buy TaylorMade drivers because they believe they get the most distance with the b est accuracy and consistency compared to competing brands. 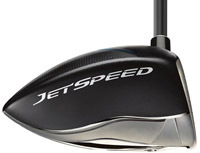 TMaG’s newest is the JetSpeed, a mid- to high handicap category driver that was preceded by some furious industry buzz so when I put one into play for this article, being committed to at least 10 rounds, I was anticipating it would be something special. In a word, it was. The first few rounds, kind of getting acquainted, three things became immediately obvious. First the JetSpeed is plenty long. Is it the longest out there? Don’t know. I didn’t try to do any comparisons except, when playing my home course, after a good swing the ball was at least as far…arguably ev en a little further, than the driver it replaced in my bag. Secondly, the ball flight off the JetSpeed is low, low enough that after the first round I adjusted the loft from 10.5 degrees to 11.5 degrees and saw an immediate improvement in trajectory. And speaking of trajectory the ball felt like it “bored” through the air, a feeling I get from only a few drivers and it’s a great confidence builder. Finally, with the center of gravity a lot lower and closer to the face there’s no doubt the ball had less spin, which of course is what everyone including touring pros is looking for to get the most distance. JetSpeed also has what TMaG tagged as a Speed Pocket in the sole right behind the face which th ey tell me helps control the rate of spin. After a while I came to appreciate the alignment graphic on the crown though admittedly if they had asked me initially it isn’t one I would have chosen. Since JetSpeed is categorized as a game-improvement driver I paid particular attention to the rare occasions (really?) when a less than perfect swing caused impact to be some place other than dead center. I can report unless it was a totally awful effort on my part as long as the hit was somewhere around the center of the face, the distance and side spin didn’t appear to suffer too much. In my experience there is probably no other factor that creates confidence in a club as quickly. When its hit a little less than perfectly the ball still goes OK is a big plus for JetSpeed. You have a choice of two JetSpeed models, the TP with a Matrix Velox ST 60 gram s haft and the regular model with a Matrix Velox T 49 gram shaft. Both have a “SpeedPocket,” a.k.a. sole cavity and a loft sleeve that changes the basic loft (either 9.5 or 10.5 degrees) 1.5 degrees up or down. One caveat about the JetSpeed is that the standard shaft is 46 inches and for some players that length may be harder to control even though it helps create a longer arc and therefore clubhead speed. So, the question is would I recommend a friend buy a JetSpeed? Assuming he does it properly by getting it fitted by a PGA Professional with computer swing analysis, the answer is an unreserved yes.